Today I have two Capital Bikeshare items to note and I'll begin with a little shameless marketing. First, MetroBike is assisting Montgomery County, Maryland (USA) with station site planning and implementation of their first 51 stations, which will be part of the regional Capital Bikeshare service. MetroBike has been working rapidly to research and prepare these sites with some wonderful County staff for the upcoming launch this week. For our friends in the Washington, D.C. area, the launch event is Friday, September 27th at 10:30am at the intersection of Maryland & Montgomery Avenues in Rockville, MD. This will be the first bike-sharing service in the State of Maryland and will be the fourth jurisdiction to join Capital Bikeshare. These 51 stations will connect the inner suburbs of Friendship Heights & Bethesda on D.C.'s northwest edge and Silver Spring & Takoma Park on D.C.'s northeast edge. Also, there will be a satellite pod of stations in the less dense suburban and exurban Rockville & Shady Grove neighborhoods. These stations will connect with Metro's Red Line (subway) with downtown Rockville, housing, a shopping center, and the Life Sciences Center, which includes a hospital and various science-focused companies and universities. This satellite pod will highly focus on the first-mile/last-mile trip for commuters who live and work in this area and use the subway as part of their commute. 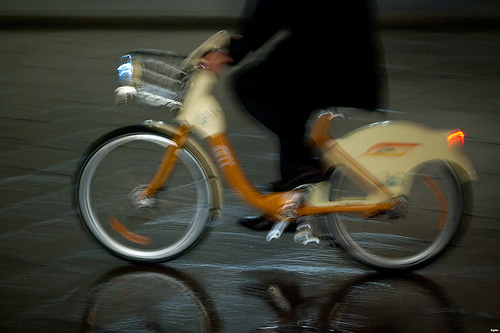 It should be a fascinating study about how bike-sharing succeeds in the suburbs and exurbs. Academics take note. Additionally, MetroBike serves as the program manager for Arlington County, Virginia's (USA) portion of Capital Bikeshare. 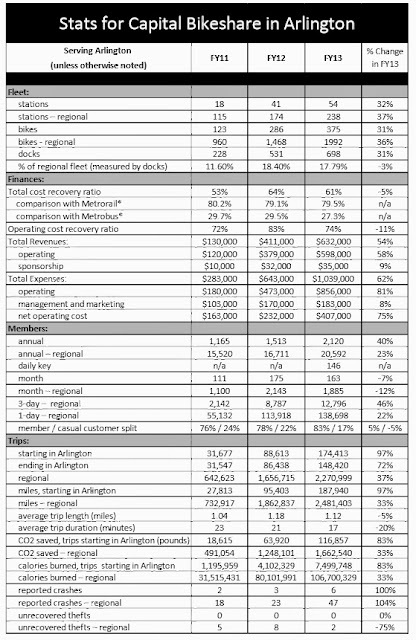 We recently completed the Arlington County FY13 Summary Report on Capital Bikeshare which details Arlington's portion of the regional Capital Bikeshare service. 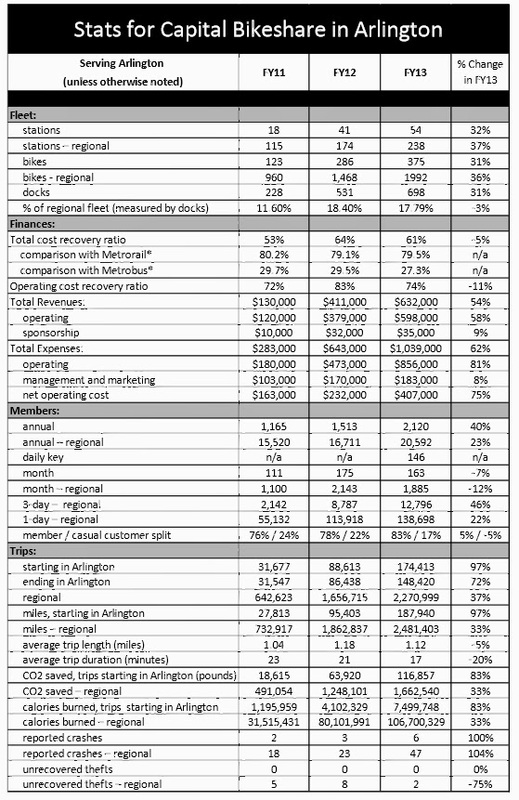 The document discusses the service's growth, successes and challenges, and includes a three-year examination of many key statistics: like trips, number of customers, miles, and crashes. A graphic showing Arlington's total cost recovery since inception is below. 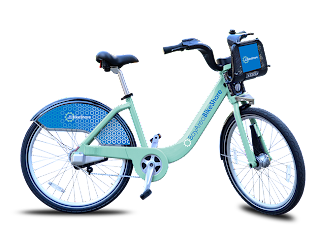 Capital Bikeshare just celebrated its third birthday on September 20 and regionally the service has reached 5.3 million trips with 248 stations and 2,073 bikes. Not too shabby as the Washington, D.C. region continues to strive to become ever more bike-friendly -- and is succeeding. 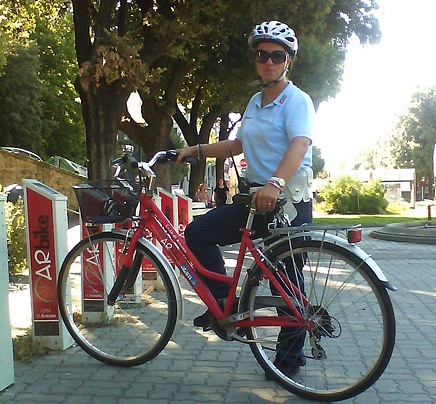 In celebrating European Mobility Week, the citizens of Arezzo, Italy have been asked to forgo their cars and to get around town by bicycle, or by foot. In keeping with this goal, the local bike-sharing program, ARbike, is giving the police access to their bike-share bicycles. The Police will use these bicycles to patrol the city and keep the police cars and motorcycles in the city garage according to the news source: ArezzoNotizie. Over in Milan, Italy, MilanoToday is reporting that a stolen bikeMI bike-share was used in an illicit drug transaction. The Police arrested both the buyer and the seller. The recovered drug bike was dragged back to the station! This shows that Bike-sharing is so popular that everyone is using it, no matter on what side of the law, one rides! 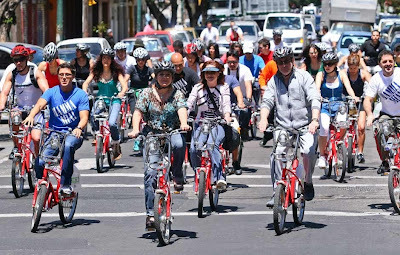 This Summit, in San Francisco, California on October 10th and 11th, 2013, is one of the first conferences in the United States covering bike-sharing which is open to the public. It is not just for government or transportation officials, but for everyone interested in the bike-sharing phenomenon. The Shared Use Mobility Summit will have speakers who were instrumental in making Bike-sharing happen in North America and Europe. There will be panel discussions on how to make Bike-sharing work well. 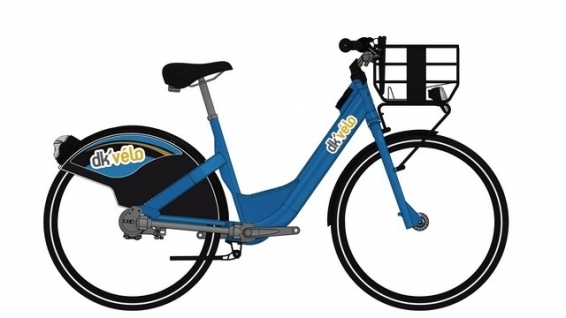 There is also the possibility that new bike-share systems will be on display at the Summit! The web address for the Summit: sharedusesummit.org. If you or your city are planning a Bike-sharing program, this Summit should not be missed! Oh yes, there will be segments on car-sharing too! 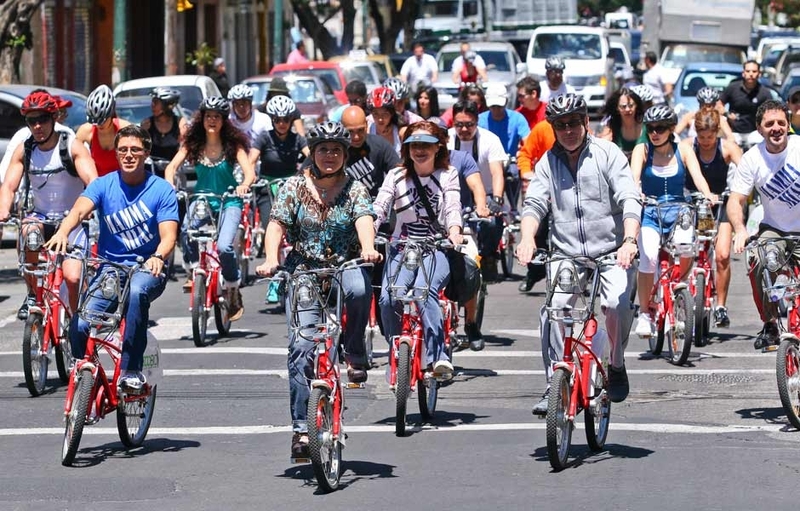 Impressive usage numbers were reported this summer for Mexico City's Ecobici. With over 3250 bicycles in active use throughout 268 stations, by the end of July, over 9 million trips were taken since the program started. The number of subscribers has exceeded 95,000. On August 28, 2013 over 28,800 trips were taken in one day. Earlier this year, the system was finally opened for daily use by non-residents according to El Sol de Mexico and El Universl. Just as impressive, are the results of studies by MercadoLibre, the online retailer, and The Del La Riva Group - Mexico. These studies, as reported in tera-economia, attribute the success of Ecobici as one of the factors in the 50% increase of online bicycle purchases in Mexico. This is another instance that shows bike-sharing helps stimulate bicycle business in North America. See the O'Brien Global Bike Share Map which shows real time bike usage in over 100 cities! 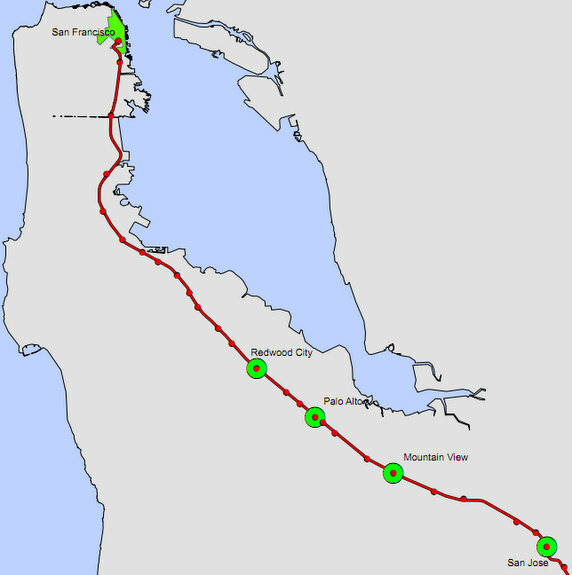 With Bay Area BikeShare, a user can pick up a shared bike and ride to a Caltrain Rail Station, dock the bike, ride the train to another select rail station, then take another shared bike to a final destination. This program could become the template for all subsequent programs where there is inter-city transit. 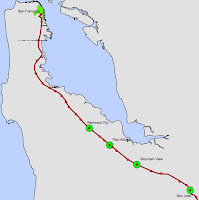 The Bay Area program allows true A to B transportation over a large region.This program takes the European rail station bike system concept like OV-fiets, Scotty Blue Bikes, Call a bike, Publibike, and the new British Bike & Go into being real bike-sharing and not bike rental. Unlike the European system, with the Bay Area program bikes can be returned to any bike station. There is no penalty when the bike is docked at another bike station rather than the one from where it was taken. With success, we hope, Bay Area BikeShare will quickly expand to its original proposed starting size of 1,000 bikes in 100 stations. Then as it comes out of training, bring bike-sharing to the entire Bay Area. Since we know everyone can't get enough information about bike-sharing, whether it's new, old, or the future, there is a place to get that shared information. The Shared Use Mobility Summit in San Francisco on October 10th and 11th will have demonstrations and panel discussion on bike-sharing. 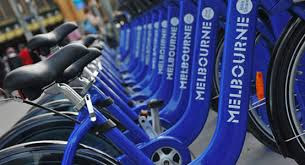 There will be speakers and experts on everything that is bike-sharing and possibly debuts of new bike-sharing systems. Oh yes, there will be segments on car-sharing too! The web address for the Summit: sharedusesummit.org. If you or your city are planning a bike-sharing program, this Summit should not be missed! A little over 73 years ago this summer, thousands of boats and ships streamed out of the French port of Dunkirk to cross the English Channel. As of September 2, 2013, in a bad analogy, English tourists to this port city will see that Dunkirk's bike-sharing ship has come in with the start of dk'vélo. Beginning with 100 bikes in 20 stations the program is planning to grow to 280 bikes in 34 stations. In keeping with the bike-sharing movement towards transit integration, dk'vélo's €10 annual pass ($13.00 US) is only €5 when a subscriber also has the dk'bus pass. The 24-hour pass to bike around Dunkirk is only €1, allowing each trip of 30 minutes or less at no extra charge. The next additional 30 minutes of continuous use is another €1 and then €2 each additional 30 minutes thereafter. The newest replacement bikes for the Hangzhou Public Bicycle Service will have two different bike station locking devices according to Hangzhou.com.cn. Since 2008, Hangzhou has utilized a system for locking bikes similar to the French CycloCity "bornette" that requires a down tube side mounted locking device for anchoring the bicycles to the single post or column. Because the Hangzhou system is now installing three sided glass wall multi-purpose covered bike stations, it is cheaper and easier to install a single rail along the back wall of the station, similar to the Clear Channel SmartBike system, for docking the bicycles. Each lock on the rail has a card reader and is interactive. The new bicycles will be able to use either system. 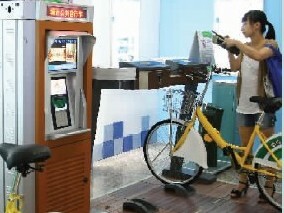 The Hangzhou Public Bicycle Tech Center is marketing this new system to other Chinese cities. 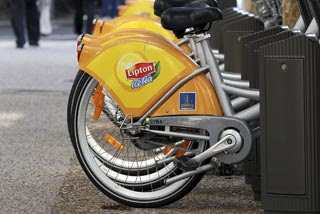 A friend to the Bike-sharing Blog in Brisbane, Elliot Fishman, has recently published a study on the Barriers to Bike-sharing in Australia: The Barriers and facilitators to public bicycle scheme use: A quantitative approach. Generally these studies carry a substantial price for a copy, but for this month and next, Elliot Fishman's study is available at no charge: Download at the web site: Transportation Research Part F.
The Bike-sharing World Map is the #1 resource for bike-sharing systems world wide. It shows new systems coming online which might not be covered in The Bike-sharing Blog. With constant updates, it is the best way to keep up with the ever changing bike-sharing world. See the O'Brien Global Bike Share Map. It shows real time bike usage in over 100 Cities! * moving a transit user from his starting point to the transit line and from the transit line to the user's destination.